I’m paying homage to The Hunger Games: Mockingjay – Part 1 by breaking this particular blog topic into two posts. I, however, will not make you wait a full year before you can read Part 2. Instead, I will post the second installment tomorrow night. But first, the set up. 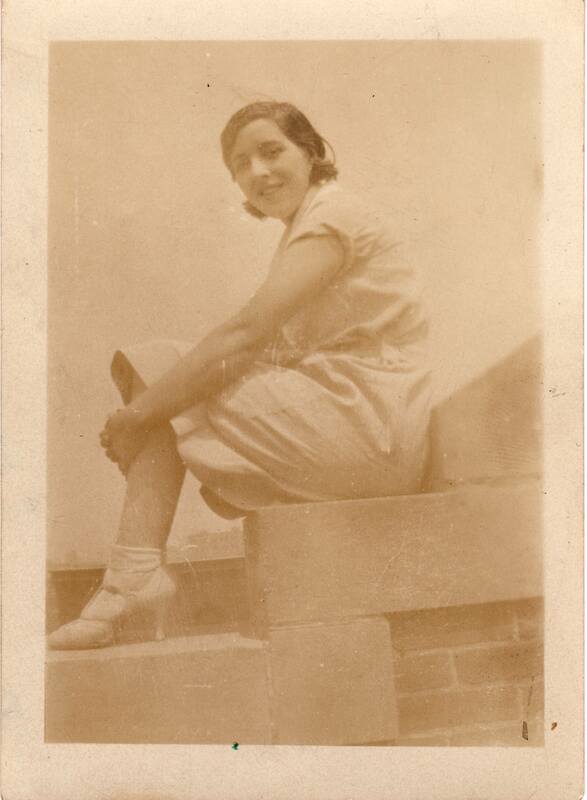 Gram when she was 16. Gosh, she was so lovely. You’ve all been made aware of how close I was to my grandmother. Mary (Senerchia) Hensley was my mother’s mother. Her husband was Patrick Joseph Hensley – my grandfather. Although Grandpa died in 1975 when I was only 7, I remember him very well. You see, from the time I was born until we moved to San Diego just two weeks before Grandpa died, we lived with my grandparents and great-grandmother (Gram’s mother). Dad was in the Navy, so he was on a tour in Vietnam. Mom worked full time. So my grandparents and great-grandmother (Nanny) all helped take care of me. It’s because of those three wonderful people that I learned math, reading, and writing. Because of them, my kindergarten teacher had it really easy with me – I already knew what she had to teach. We didn’t know a lot about Grandpa’s childhood. He and his younger sisters – Mary, Anna, Bridget, and Margaret – were born in Scranton, PA. Their father died when they were very young – Grandpa was only 10 years old. The story we were told was that his mother – Great Grandma Jennie – put them in an orphanage because she couldn’t take care of them. She needed help while she got herself back on her feet following her husband’s death. Grandpa always looked out for his sisters and would go to work in the coal mines (at 10 years old!) so that the girls could have meat for some meals instead of just porridge. Unfortunately, Margaret – still an infant – died while in the orphanage. 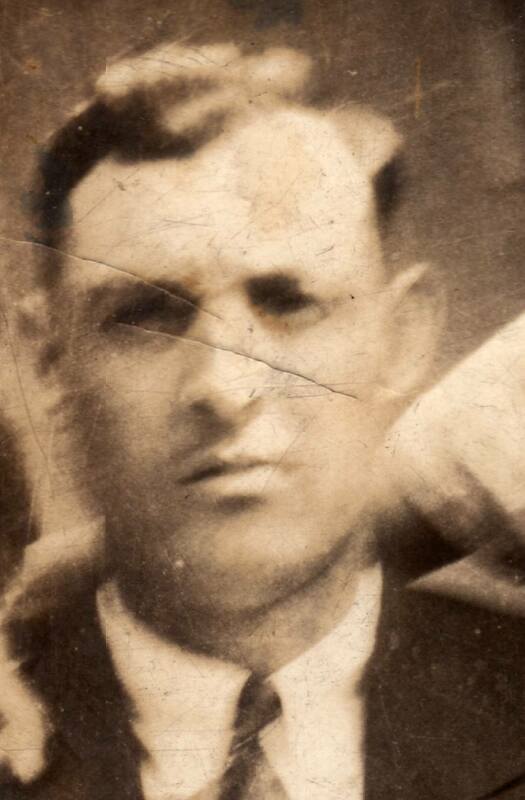 The only known photo of Joseph Hensley – My great grandfather. Eventually, they all made it to Chicago. I only had Federal census records to go by – in 1920 they were in Scranton, in 1930 they were in Chicago. I knew nothing about the time in between. There was nothing. After 1930, I found additional census records, marriage certificates, residence histories, etc. When I was young, I knew the three remaining aunts – Mary, Anna, and Bridget (whose full name was Bridget Elizabeth and who went by Betty). I remember Aunt Betty the clearest. One of her sons lives only a mile from me. After my grandparents married, Aunt Mary met and married Gram’s cousin, Tony. So, she was also my cousin by marriage. (Can you hear “Dueling Banjos” playing?) I knew Aunt Mary’s daughter Jane Rose pretty well into my adulthood. Aunt Anna didn’t have children, but she was step-mother to her husband’s children. I knew Jeanie. 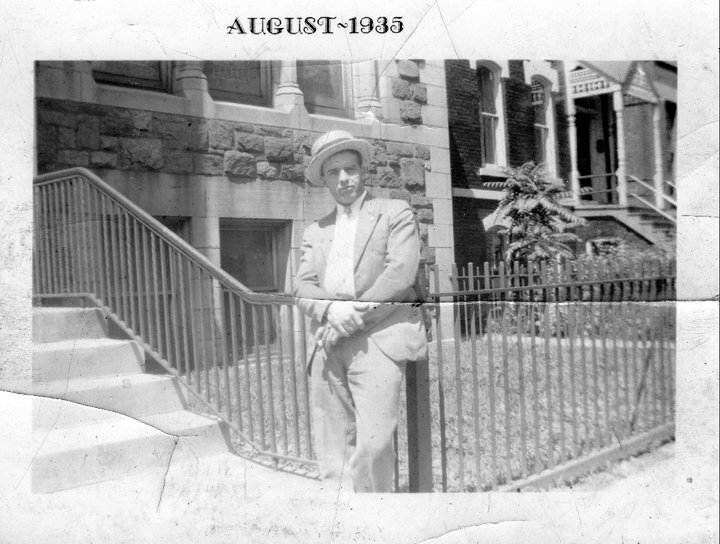 She provided me with the only known photograph of my Great Grandfather – Joseph Hensley. My grandfather and his sisters were all very close. But, they never talked about their childhood in great detail. We didn’t know HOW Great Grandpa died. We didn’t know when or why Aunt Margaret died in the orphanage. We didn’t know how long they were in the orphanage. We only knew bits and pieces. That generation just didn’t talk about those kinds of things. They didn’t air their dirty laundry. So, clearly, I had my work cut out for me in the family research department. I knew I would need to visit Scranton one day since Pennsylvania is rather strict about what they make available online. I know that my great great grandfather died in 1892, but I don’t know the exact date or how he died. I’d have to go to Scranton for that. And other than seeing Aunt Margaret’s name on one census in 1920 – when she was still just months old – I had no record of her. That census record – and my trust in my grandfather – is the only evidence I had that Aunt Margaret existed. While doing some research on Ancestry.com, I came across a hit for Margaret Hensley. It was a death certificate. 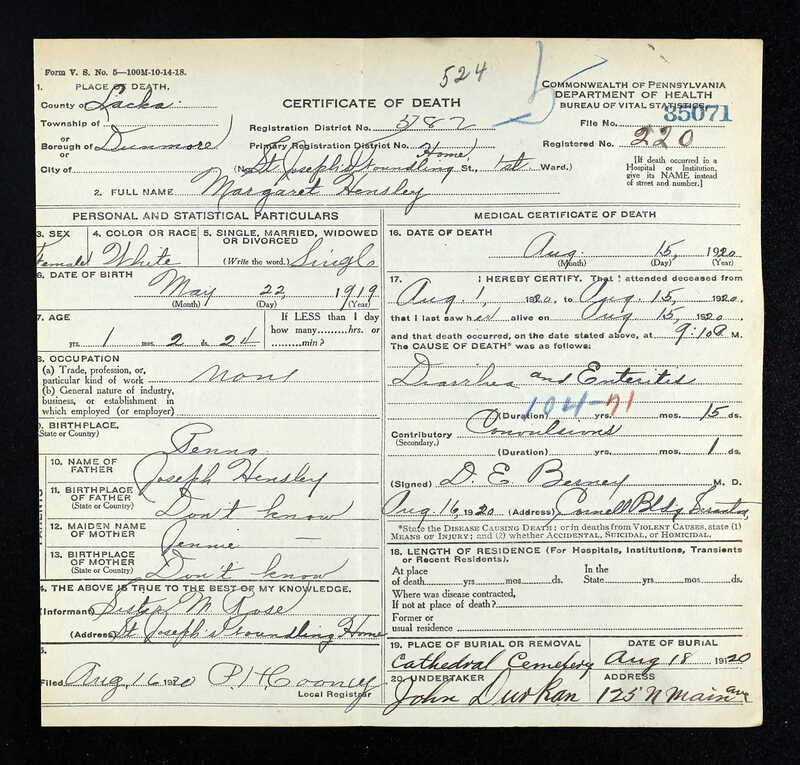 With this one document, I now knew Aunt Margaret’s date of birth, her date of death, where she is buried, why she died, and the name of the orphanage (St. Joseph’s Foundling Home).I also had a general time frame for when they were in the orphanage. And, to my great relief, I learned that the orphanage was run by nuns – so all of my visions of Miss Hannigan taking care of my family were dispelled. I immediately did a search for St Joseph’s Foundling Home and found a rather long history. It was established in 1888 by the Sisters of the Immaculate Heart of Mary whose main mission was to serve, help, and protect the orphaned children and aged in Scranton. Over the years, St. Joseph’s changed – eventually the sisters began taking in unwed, pregnant women and provided them and their babies care, while also helping the women to get back on their feet. Later, they began caring for people with disabilities. St. Joseph’s Center still exists today! When my cousin and I drove from Chicago to Provincetown, MA, we stopped in Scranton. Unfortunately, it was a holiday (10/12), so the historical society, the library, and city offices were closed. But, we were able to visit the St. Joseph’s Center. The women working there were so very kind and helpful. The person I needed to speak to wasn’t working that day, but those women got me her phone number, information about the center, calendars…all sorts of stuff. They were really nice. In addition, they let us know that the building – particularly the outside – had not changed. Of course, the inside needed to be updated and modernized, but they said that was very similar, too. So, in essence, my cousin and I were standing in the same building my grandfather and his sisters were once in. And we were seeing the building (from the outside) almost as they would have seen it. The wings on the ends of the building were built after the initial building was constructed. They didn’t have enough funds at the time and the wings were added later. But my understanding is that they were there by the time the Hensley kids were admitted to the orphanage. After I returned home, I called Marie at St. Joseph’s and started the process of getting information. She sent me a form to fill out – the sisters like keeping clear records – so that she could begin pulling records and researching the information I was looking for. My cousin and I left St. Joseph’s and went in search of Cathedral Cemetery. My hope was to learn where Aunt Margaret was buried. The man in the office looked at me skeptically. He said that their records only date back to 1929, but he would check. When he returned, he let me know that he knew the section where she is buried, but not a plot. She was in what they called “The Foundling Section.” So, no, I couldn’t put flowers on her grave, but I could see the section where she might be. Out there. Somewhere. Without a headstone or marker. It was better than nothing. Had there been an actual plot – and had it been needed – I would have ordered her a headstone. 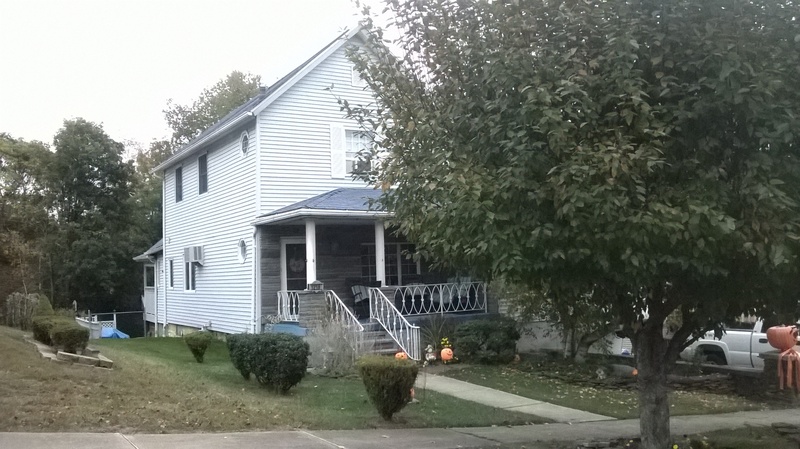 We finished out our trip in Scranton by visiting the addresses listed on census records for my great great grandparents and for a house where my grandfather lived when he was a boy with his parents. My great great grandparents’ house is no longer there…it’s now an entrance for the interstate. But there is a house still standing at the address for my grandfather’s boyhood home. I’m sure many, many changes hae been made to the house, but the general idea is there. Thus ended our trip to Scranton, PA. For this trip, anyway. I plan to go back. I will make sure that it’s not during a holiday and I will make appointments to meet with people. I know there is more to learn out there. So, what about that information from St. Joseph’s Foundling Home? Was Marie able to find any information for me? Well, I got a call from Marie this week. And what she had to tell me was very interesting. But that will be told in Part 2.